Khemmie is the horse that started it all for my wife and I. She sparked in us a love for this ethereal breed of horse, the Arabian. We have seen more personality, love, intelligence, and understanding in this mare and breed, than we have ever witnessed before. 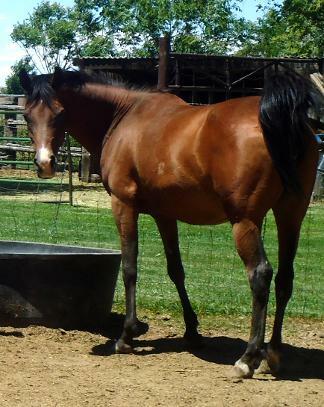 Khemmie is a compact, powerful, athletic mare. She has some amazing hock action, and with her pedigree, why not. She has greats like Khemosabi++++//, *Bask++ (3X's), Fadjur (2X's), Sey Cherie++, Le Dez++, *Serafix, Comet, Forta, *Flis, and even the great Hallany Mistanny. Khemmie has a nurturing nature to her, and she has quite a unique love for children. 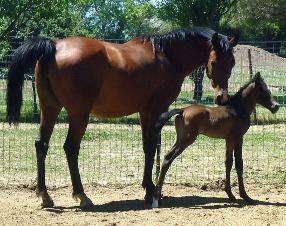 Her charisma, matched with her powerhouse athleticism, will produce some outstanding Endurance and Sport Horse foals. Khemmie's colt sired by Comar Gai Rifraff is a powerful mount. He has an outstanding hindquarter, amazing razor straight legs, with her short back, and the typie head of his sire. He is turning out to be one heck of a Cow horse, like his sire (and is looking quite classy doing it), and an Endurance & mountain horse. 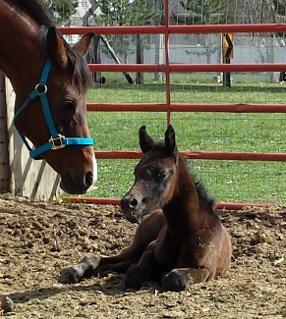 Khemmie's filly by Allahs Sukkar Abiad couldn't have been more perfect for his first foal. The filly has a lot of substance with her dam's short back, strong hip, and her sire's amazing neck, powerful shoulder, and a competitor's personality. She has an abundance of speed as well. We repeated the cross of Khemmie to Allahs Sukkar Abiad that resulted in an amazing athletic colt with a lot of personality. 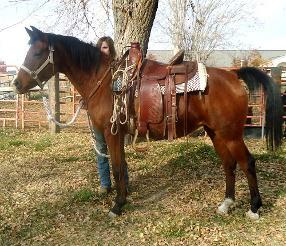 Khemmie is producing beautiful athletic Cow horses & Endurance horses for any discerning competitor.